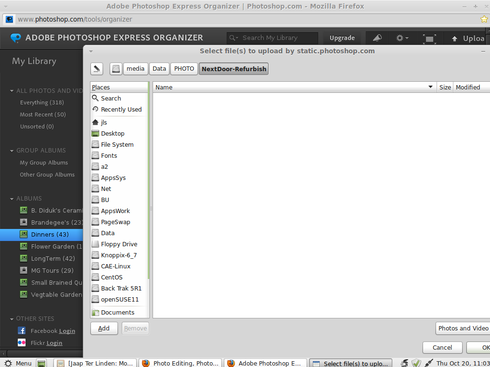 Photoshop.com: Can't see all images in a folder; while attempting to "upload". 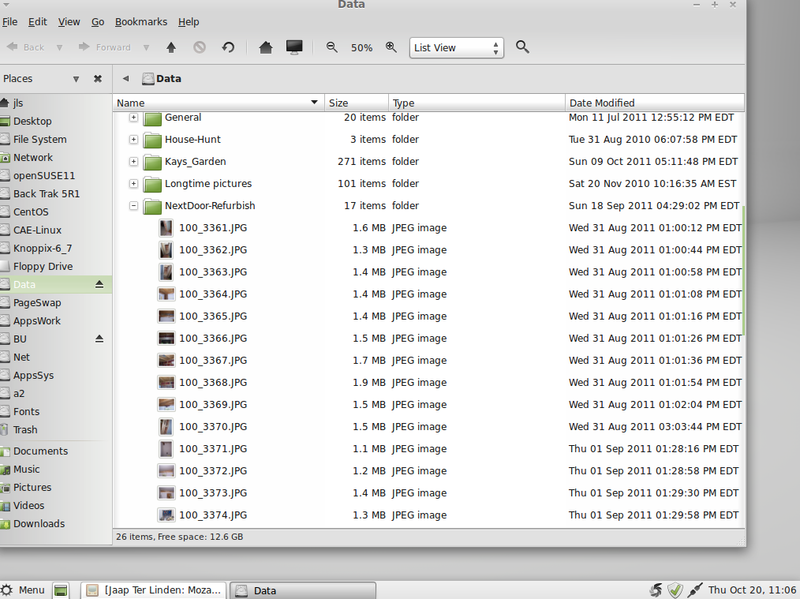 While using Firefox 7.0.1, when looking at my gallery, I tried to upload a folder (Windows XP) full of images. The folder had 54 images (Windows Explorer info.) but I was only allowed to see 12 .jpg images. Suggestions for uploading the missing 42 images? NOTE: All were .jpg and around 5Meg in size. Could you post one of the files that didn't want to upload? 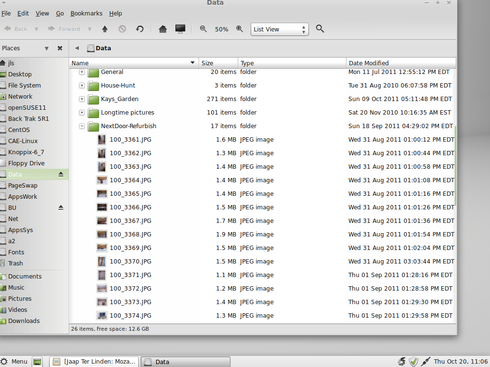 Also, could you provide a screen shot of the folder with the images in it and the appearance of the upload screen? Are you just uploading directly through the web page, or are you using the Express Uploader? The web page uploader uses a standard Windows dialog box to choose the files you want to upload, so it may have something to do with a Windows setting. 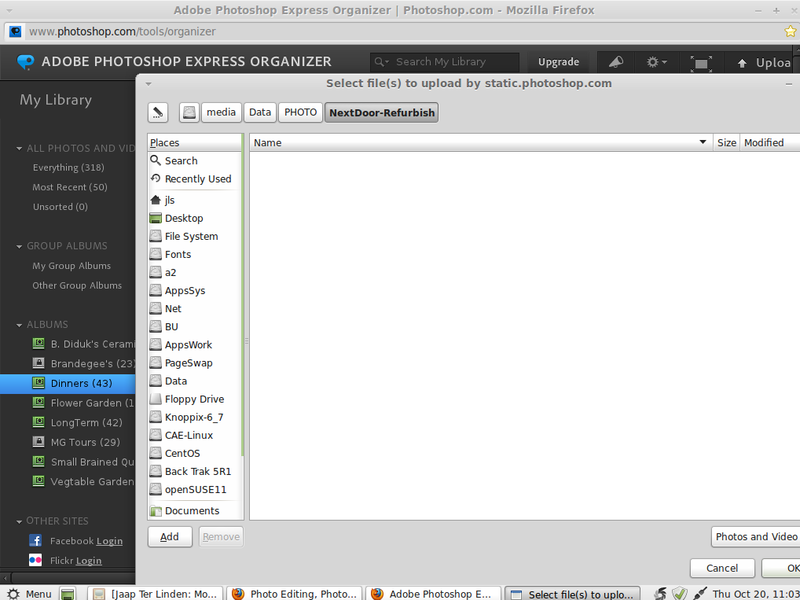 I've solved the problem by changing the OS from which I was attempting to use Express Uploader. I had the problem while using Linux Mint, a Ubuntu variant. I changed to MS Windows XP and all seemed OK. I will admit, though, that I've never before had a problem with file transfers from/to XP and Mint. Again, thanks for your efforts in this matter. Can you mark this topic "solved"? P.S. If you want to solve the problem of why Express Uploader did not work while using Linux and Firefox I'll be glad to post the files/screenshot's as you asked me to do. We don't generally test on Linux based systems, but some of our developers may be interested. Please post the files, we may find some use for them. As soon as I replicate the problem, take the screenshots, archive and compress the files, I'll upload them to you. Don't worry about Express Uploader not working on a Linux system. I can absolutely understand why you'd not test on such a system. P.S., I've been a happy (mostly) Adobe software user for more than 18 years. Thanks for the files and screen shots. I'll let our engineers know these resources are available.